The Special Evolution from Goldacres has long been the benchmark in value for money spraying equipment. It boasts a proven design with an extra strong chassis. 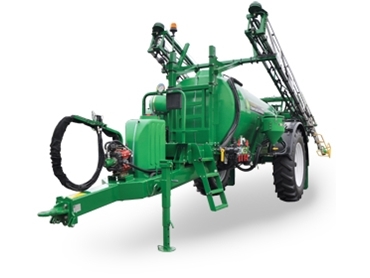 This sprayer also offers tank sizes up to 5000 litres and boom sizes up to 30m. These figures translate to excellent options for mid to large size spraying applications. The Special Evolution spraying equipment features the EZ control station which is clearly labelled and straightforward to operate. All key filling and pressure functions are placed in one convenient location adjacent to the walk through platform and quick fill point which makes filling an efficient and simple process.